Webtec, the specialist manufacturer of hydraulic measurement and control products, is unveiling its FlowHUB ViscoCorrect, an innovative and intelligent hydraulic flow monitoring device with integral temperature measurement and large digital display, now for use on oils, water and water-based fluids. Martin Cuthbert, MD of Webtec commented, “We have seen more customers asking for a flow monitoring solution that they can take from stock and quickly configure for their specific application. 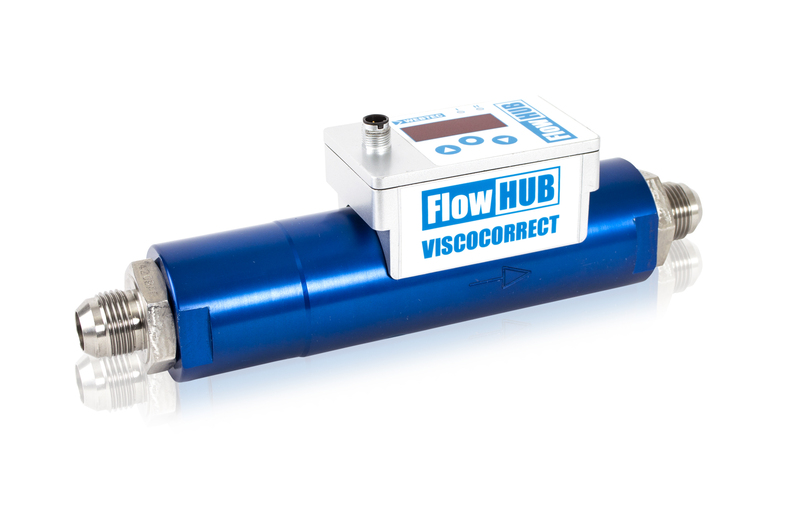 The FlowHUB ViscoCorrect can be setup easily for use on water, biodegradable (water based) fluids as well as conventional hydraulic and lubrication oils at the touch of a button, it’s a truly innovative solution”. Ideal for condition monitoring, test stands and closed loop control applications in both fluid power and lubrication systems, FlowHUB ViscoCorrect can measure and display flow and temperature readings, as well as switch and transmit flow values. Having all this capability as part of a single device provides system designers with a number of important advantages. 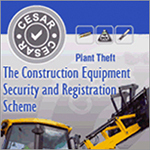 For instance, alarms and shut-offs can be triggered, and real-time values transmitted to a PLC using just one unit, instead of up to six discreet hydraulic components which might have been required conventionally. 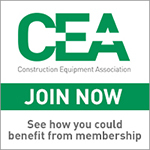 As a result, both costs and wiring requirements can be reduced significantly. FlowHUB ViscoCorrect is available in two ranges, 30 and 240 lpm, with suitability for water or hydraulic oil up to a pressure of 420 bar and a fluid temperature of 5 to 90°. There are two programmable switched outputs. The device has been designed for permanent installation with few wearing parts to ensure long operating life. Moreover, FlowHUB can be mounted in any orientation,and since the unit has built-in flow conditioning, no lengths of straight tube are needed. Accuracy is better than 5%, while repeatability is better than 1% to provide users with peace of mind. Response time is almost immediate at 50 ms.Compact yet rugged, FlowHUB offers a protection rating of IP64 and is supplied with complete with fitted adaptors (BSP or JIC male). The device allows unmeasured reverse flow if needed. A number of standard model configurations are available, as are custom configurations. Webtec is more than happy to provide applications advice that helps optimise solutions in line with specific customer requirements.